The springtime in Japan offers some of most beautiful floral view in the world: cherry blossom trees come out in full bloom, pink and white sakura petals flit amongst ancient castles or play a romantic backdrop. To better enjoy this seasonal spectacle in a trip to Japan 2019, you might want to do some homework first. According to the most recent cherry blossom forecast of the Japan Meteorological Corporation, the nation's iconic cherry blossoms in 2019 will start opening from late March through early May as usual, with early April being the peak time in many cities. Planning a trip that matches the time cherries peak is difficult: quite likely that you have reached just after the flowers peaked, or seeing the cherries in a blooming state just as you are leaving. Tricky, No? Truth is, to make sure you can catch the full bloom, you will have to stay at least a week in the city to see how things go. But that's not what typical foreign visitors do, their time is ticking. 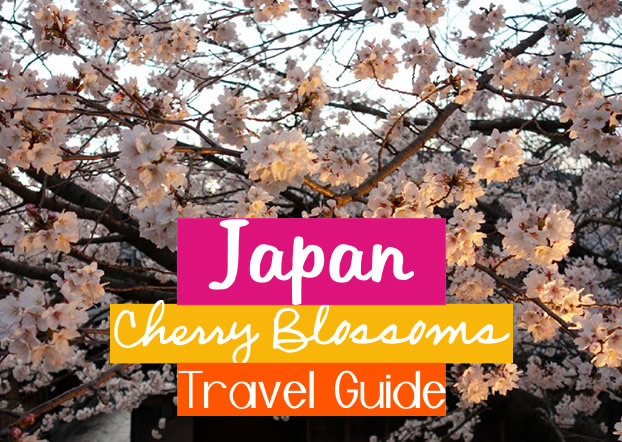 Though it's impossible to give the exact date when the cherries will peak, here are our picked places for cherry blossom viewing (AKA "hanami") and the rough opening date to help you go with preparation. Cherry blossom date: March 22 - March 30. Shinjuku Gyoen: one of the largest and most popular public parks in the capital. 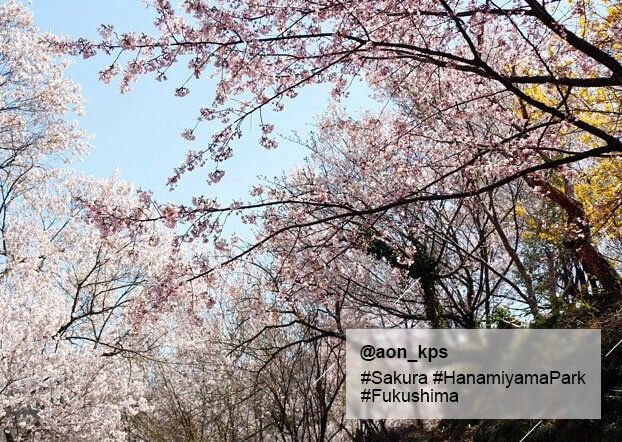 Having over 1,000 cherry trees inside, Shinjuku Gyoen is coated in soft pink during the cherry season. However, the downside with a popular spot is always the crowd… You may not be lucky to get a photo without others, but the happy atmosphere is rewarding! The park opens from 9:00 am to 4:30 pm during the season, so make sure you get there before sunset. Ueno Park: a very busy park filled with cherries and locals having the blossom party either side. Take a walk to experience the celebrating vibe, chances are you are invited to join the party along! The 2019 Ueno Cherry Blossom Festival will be held from late March to early April. Cherry blossoms date: March 23 - April 1. 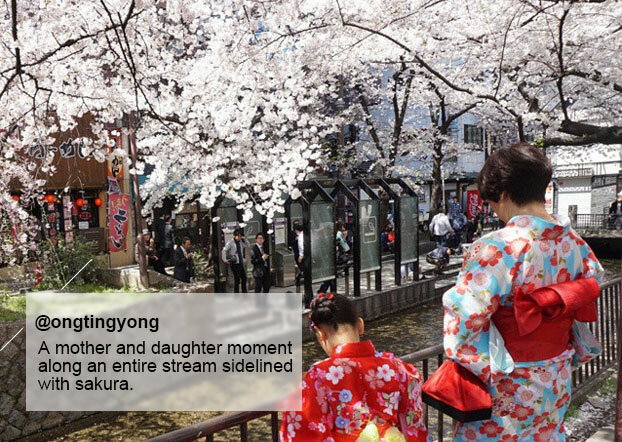 Philosopher's Path: the pleasant path is located beside a canal that heads to the Silver Temple, providing lovely sakura blossoms and a chance to watch people in traditional kimono, perhaps even running into a few geisha girls. Top place to enjoy a nice stroll. 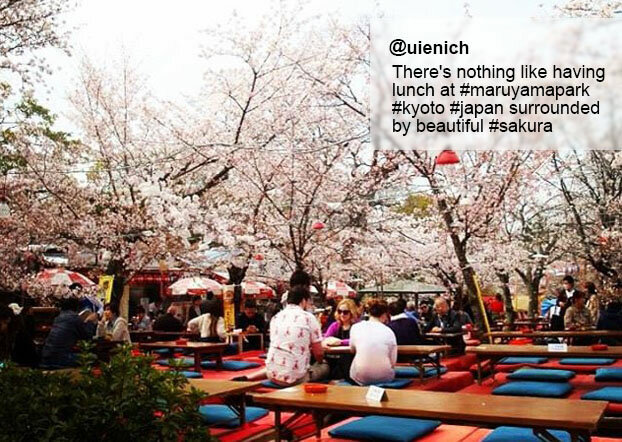 Maruyama Park: the pack is usually packed with local as well as foreign visitors during the hanami season. There is a huge weeping cherry tree catches all the attention at night when it’s lit up. Food stalls are set under trees for viewers until night. Why not give your eyes and belly a treat at the same time? Heian Shrine: it is worth every breath to take to the red shine and its beautiful gardens. Heaps of vibrant cherry flowers fanning overhead, the clear stream flows quietly. Stepping on the bridge over the garden pond is like traveling back in time. How amazing!The shrine opens from 8:30 am to 5:30 pm. Cherry blossoms date: March 25 - April 2. Osaka Castle Park: you don't even have to enter the castle to enjoy all the beautiful settings on the ground. Outside the castle there are tons of cherries jumping out, providing lots of photo opportunities to keep them and the castle tower in the same picture. Kema Sakuranomiya Park: a less-crowded riverside park with cherry trees everywhere. 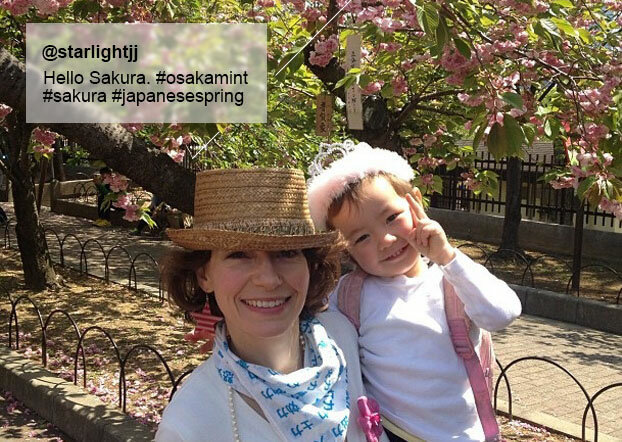 The park sits close to Osaka Castle and remains a popular hanami spot for the local. 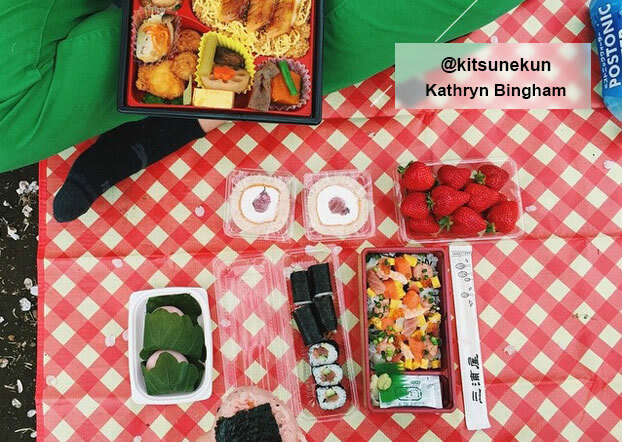 Having a picnic as the Japanese do you'll easily get the spirit of cherry blossom celebrations. Osaka Mint Bureau: thousands of cherry trees with hundreds of variations line the long path before the office, and the garden opens for one week during the "Cherry Blossom Viewing in Osaka" event (announced in mid-March). Miyajima: the small, tranquil island stands outside Hiroshima city, but traveling along is worthwhile as you will enjoy red shrine, giant torii gate, walking trails paved with the pink blossoms. Cherry blossoms date: March 24 - April 1. 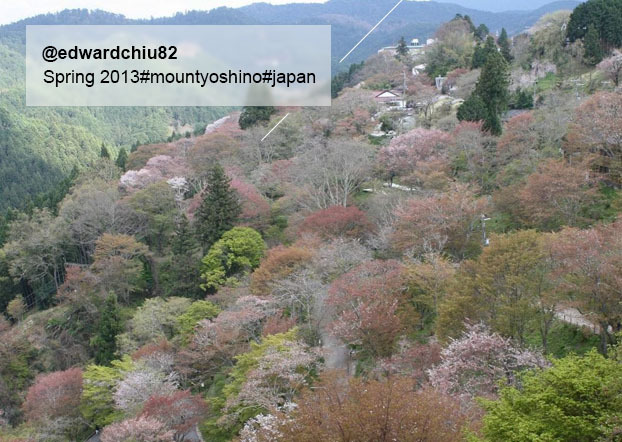 Mount Yoshino: the most famous hanami spot for centuries thanks to its unique north-facing slope and over 30,000 trees of cherries exploding in spring. To have a panoramic view of the pinky mountain at its full bloom, visitors can reach the Hanayagura View Point to get the best angle. 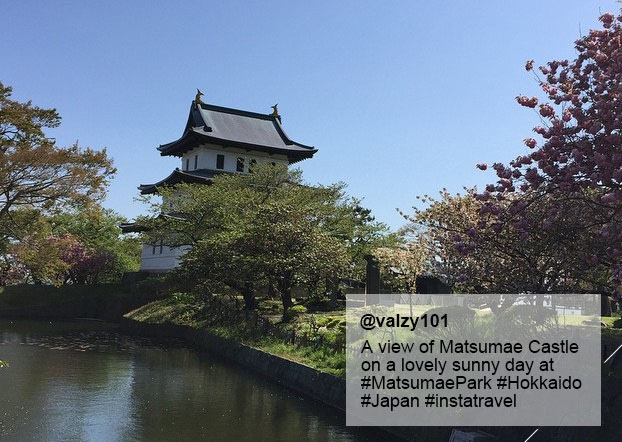 Hanamiyama Park: just as the name suggests (Sakura Viewing Park), Hanamiyama Park tops the best hanami spot that attracts countless viewers with its rich variations of cherry trees every year. You may have seen many exquisite parks but I am sure none was like this. Note: the exact blooming dates of the cherry blossom in the locations of Japan may change because of temperature, wind, and rain. It's advisable to check out the latest updates. How early should I start planning a trip? The earlier, the better - I mean really early! Especially make sure you have places to stay. 3 months ahead is at least, half a year feels more secure. You are going to compete for hotel vacancy with not only inbound tourists but also the domestic travelers who are frantic about the flowers too. Should I avoid visit during the Golden Week? The answer is yes. Why? Cherry blossoms viewers, I hope you are aware of the Golden Week that starts from April 29 to May 5 (sometimes May 6) and contains a couple of public holidays in the period, into which most of the cherry blossoms dates fall. Expect large crowds everywhere as Japanese employees will take advantage of the holiday to travel at home and absorb the pinky views just as much as you do, resulting in soaring accommodation prices and packed trains. Therefore, better plan your trip before or after the Golden Week. Avoid the Golden Week to save hassle and get more comfort. Are there cherry blossoms if I visit after the Golden Week? 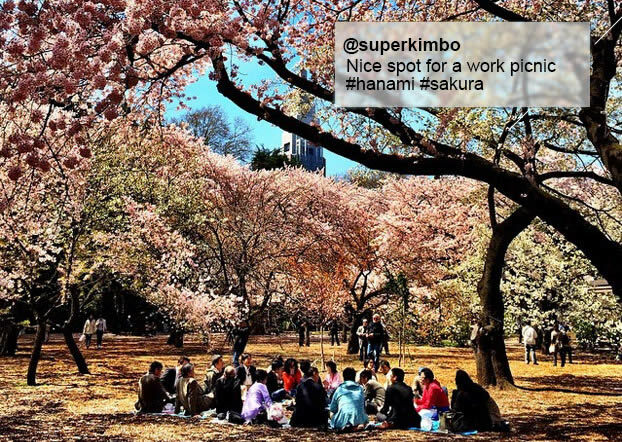 A picnic among Japanese people under the cherry trees (known as hanami party) will be, undoubtfully, one of the most memorable experiences you will have in life. Even though you are coming as a foreign visitor, it is quite easy to pick up the etiquette and immerse yourself in this rich cultural event. 1. Permission for the picnic. Bear in mind that not every place with cherry trees is allowed for hanami parties. Make sure by contacting the office via their website or phone. 2. Check weather forecast. Some days in spring would be rainy and windy, and it can be really cold. Bring poncho in cloudy days and warm clothes. 3. Prepare the picnic kit beforehand, including a plastic/straw mat, portable glass, drinks, wet tissues, and trash bags. These items are available in 100 yuan shops.  Regarding food, you can opt for prepared hanami bento sold in most food floor of large malls. 4. Reserve a spot. This can be achieved only by arriving at the spot early before other groups arrive. Spread the mat and on the spot as it will be taken if the owner is not there. 5. Look for a toilet. Note that toilet will be in hot demand in hanami sites. Alternatives you can find are in shops, restaurants or hotels nearby. 6. Be nice. The place you have picnic have thousands of people gathering. Give a smile and accept "Gomen'nasai" (sorry) when there is accidental colliding - no one gets angry at a party, after all! 7. Never forget to collect trash. Many hanami sites are not well-equipped with sufficient trash cans. Please do not litter. Sort your trash and take them to where you can dispose. A Huge thank-you to those who share their lovely Instagram photos of the cherries with us! 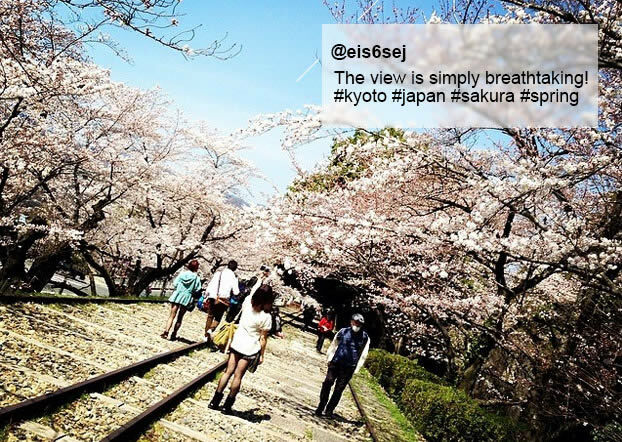 We believe that a Japan tour including cherry blossoms viewing brings a good start of the year. If you see eye to eye, tailor your visit at ! My Odyssey Tours knows where to enjoy hanami and will maximize your stay with our most praised private guide and driver service. Make the spring one of the best in your memory.